The album contains 11 songs reminiscent and very worthy of the vintage soul genre tag. The vocal harmonies, the way the songs sit back in a deep pocket and Pirani’s unerring instinct for stick-in-your-head hooks. Stand out tracks include the opening track ‘Try Love’, it soothes the furrowed brow and gives hope for something better. ‘Not One More Tear’, which has a northern soul vibe that you could easily be forgiven of thinking it’s a release from decades back. ‘Can’t Get Out Your Own Way’, has a feel of old school Motown. ‘You Brought The Rain’, it’s vocals that give a feeling of that classic era of soul. The album clocks up a total running time of 34 minutes that said it is very much the case of quality over duration. 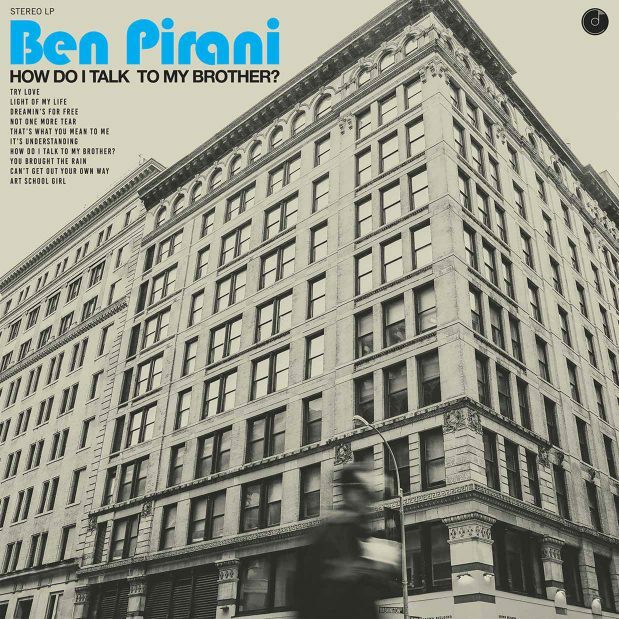 Ben Pirani’s – How Do I Talk to My Brother? will be available on Limited Edition Vinyl, CD, Cassette, Digital and streaming services via Colemine Records. Make sure to check out his album release at C’mon Everybody in Brooklyn on the 13th of September. 10. How Do I Talk To My Brother?